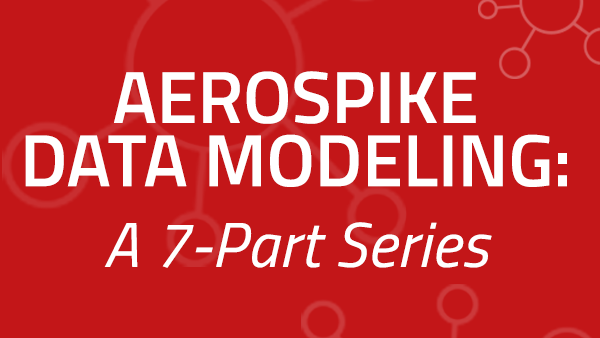 Aerospike has a maximum record size, which is not an uncommon restriction in a database. When using storage, the entire record is located consecutively, creating predictability as well as performance. Through embedding, we can model and store large, complex objects. Ultimately, as objects get larger, these are restricted by maximum record size as well as practical issues of performance. How do we deal with that? In this pattern, we write once to the sender record with the message and a list of recipients. If we then wanted to show all the messages a user has sent and received, how would we do that? Showing sent messages is simple, but showing messages received is complicated. Even if we create a secondary index on the recipients (the to field), we have to perform a scatter-gather query; this data design causes inefficiencies and will not scale well. So how do we simplify and speed the read path so we can quickly gather all messages destined for a single user or group? Instead of writing once and reading many times through an index, we can write to each user’s record. While this involves substantially more writes, it speeds the read path. We are simply denormalizing the message to each recipient. This technique can be used in addition to the fan out on read pattern explained above. By writing to both the sender and receiver’s user objects, we can gain read performance at a small incremental cost. To make this example simpler to follow, we will simply write the message to each recipient. In reality, you may want to store the message text just once and add the message’s primary key to a list of the users, but that’s just an optimization of this basic pattern. # Print the messages for "Jane"
>>> # Print the messages for "Jane"
The post_msg_fanout function adds the message to the sender stream and to each of the recipients. The get_inbox_fanout function simply has to query the user’s record to get the stream of activity. Looking at this code, the function calc_bucket is used to determine the slice that the message will be placed in. This function could decide on any criterion that suits the use case; however, in this case, we are slicing by message count. To make testing easier, we are implementing a size limit of three. When we reconstruct the complete stream for the user, we want to directly access all the associated buckets and avoid doing a secondary index scan. We do this by creating a compound key of the user and bucket number (see Data Modeling Part 2). Using a hash function (RIPEMD-160 in this case), we get a consistent key, which we use as the primary key for the bucket. New messages are added to the front of the stream list by using list_insert and an index position of zero, i.e., the head of the list. When the inbox is reassembled in the get_inbox_bucketing function, we iterate from the most recent bucket backwards so that the messages list is constructed in reverse chronological order. This is how most users would want to see the information—most recent first. On a typical web page, the full history is not presented at first; the user is typically asked to paginate through the stream, so the buckets could be retrieved one by one as needed. As we can see, the bucketing principle can be applied to many domains and use cases when you need to deal with a long history that will not fit into a single record. Whether you slice by data size, volume, date, or some other criteria, this pattern can assist in time-series, streams, and many other use cases. In the next section, we will examine the classic RDBMS problem of a debit/credit transaction.